Vieques Island, PR. 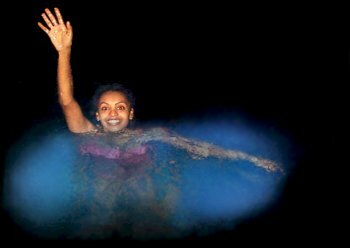 Electromagnetic radiation from the atmosphere & radars, captured by the waves around her, cause stress on algae that then glows. I CAN’T WAIT TO GO THERE… The only other place that glows that much is the Indian River Lagoon…. The former U.S. Navy range at Vieques Island (Puerto Rico, United States) is now the largest national wildlife refuge in the Caribbean. We investigated the geomorphology and benthic assemblage structure to understand the status of the coral reefs. Coral assemblages were quantified at 24 sites at Vieques and at 6 sites at St. Croix, U.S. Virgin Islands. These sites were chosen to represent the major zones of reef geomorphology. Sites consisted of two or three 21-m-long photo-quadrate belt transects. The results revealed surprisingly little differentiation in the coral assemblages within and between reefs of comparable geomorphological and oceanographic setting at Vieques and St. Croix. At Vieques, the Acropora palmata zone was almost completely lost, and it was severely reduced at St. Croix, presumably primarily due to diseases and hurricane impacts since the 1970s. Subtle, but nonsignificant, differences with respect to the nature of the shelf margin (north adjacent to the bank, south adjacent to the open sea) and depth zone were observed at Vieques. 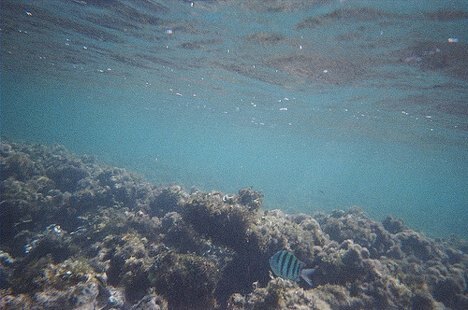 At St. Croix, benthic assemblages differed more between depth zones but not between north and south. 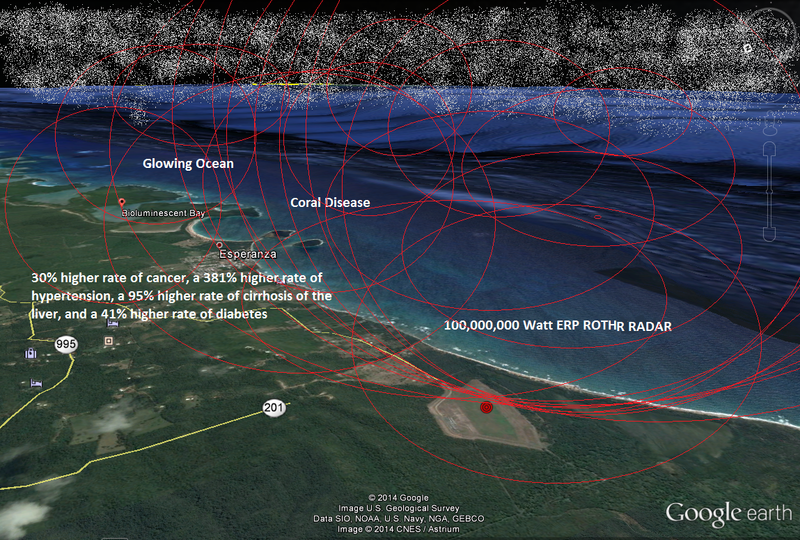 Effects of natural disturbances were severe at Vieques, outweighing impacts of past military activity [BUT THE 100,000,000 WATT ERP (EFFECTIVE RADIATIVE POWER) ROTHR RADAR IS STILL THERE! ]— which were present but not quantitatively discernible at our scale of sampling. Germs and storms, rather than bombs (and associated naval activities), primarily seem to have taken the worst toll on corals at both Vieques and St. Croix.